The auto industry is filled with new compact cars that promise to give you performance, fuel efficiency, technology, comfort, and safety you desire, but many of them don’t deliver. 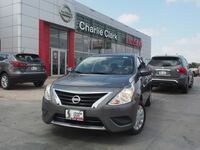 If you want a new car that gives you many of the things you desire at a price that also fits your budget, the 2019 Nissan Versa Sedan in Brownsville, TX is a perfect choice. The 2019 Nissan Versa Sedan is a compact four-door sedan that offers an excellent fuel economy rating and a long list of amenities thanks to four available trim levels. The trim levels of the 2019 Nissan Versa Sedan include the S, S Plus, SV, and SV Special Edition. Within each of the four trim levels you’ll find a different set of technology features and comfort options to choose from, so you’ll have no problem getting all the ones you want and need. Them impressive and very lengthy list of technology features and comfort options available in the 2019 Nissan Versa Sedan in Brownsville, TX includes some of the auto industry's most innovative and luxurious amenities. The 2019 Nissan Versa Sedan features and options list includes favorites like a 7-inch color touchscreen display, NissanConnect® services, SiriusXM® satellite radio, Apple CarPlay™, Android Auto™, USB port, Bluetooth® connectivity, a rearview monitor, air-conditioning, push-button start, keyless entry, power windows and locks, cruise control, adjustable front seats, a leather-wrapped steering wheel, steering wheel-mounted controls, a premium audio system, map light, front and rear cup holders, and much more. 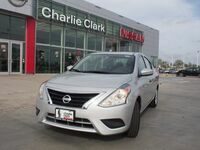 Stop by Charlie Clark Nissan or give us a call to schedule a test drive in the new 2019 Nissan Versa Sedan. Interested in a Nissan Versa Sedan?